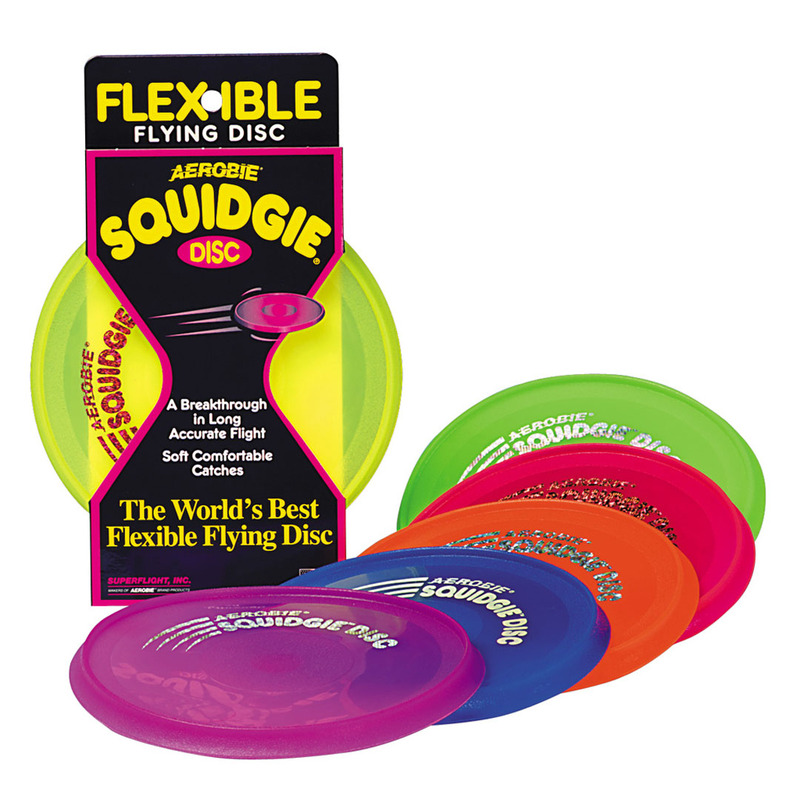 The flexible Aerobie Squidgie disc's special aerodynamic design makes it easy for players of all skill levels to throw well - roll it up and toss it in your bag for spontaneous games of catch. The proprietary aerodynamic design of the Squidgie disc's spoiler rim makes it easy for people of all skill levels to throw accurately, so it's great for everyone right from the get go. No matter how long you play, the Squidgie disc's soft, lightweight, flexible material makes every catch comfortable, especially for kids just learning to throw and catch. For great camping entertainment, bring a glow in the dark Squidgie disc and play long past sundown - just use a flashlight to recharge the disc's glow. Available in orange, blue, yellow, green, and glow in the dark.